Android TV is a hot topic in the industry. Many operators appreciate the benefits it offers. Some of these are described in my blog comparing Android TV to middleware (click here to read). But a major concern remains: “how much control will I give up to Google?” Probably less than you think! Yes, it’s true. It’s not Google, but you who decide when to update the CA software on the STB. You also decide when to update the Android OS; however, Google does set limits on how long you can lag behind the latest version. 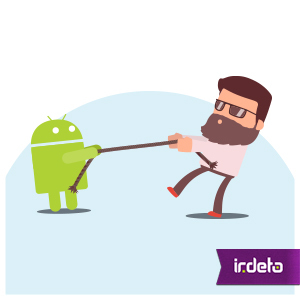 You can set up software updates in such a way that the Android OS is updated in the background, without impacting the CA software. And if you want to swap out Android TV and revert to AOSP on deployed boxes, you can. In that case you are in full control of the OS as well. You just won’t have extra features Android TV offers such as the app store. Google wants to be the number one app platform in the world, and they want advertising revenue. For this reason, they need early adopters like you to be wildly successful. Google fully supports your branding, because they know it’s your branded platform that will attract consumers who will use more apps. Also, Android TV is built on Android AOSP (see my blog on the difference between AOSP and Android TV). Since Android AOSP is open source, Google can only contribute to it, not control it. In fact, you’ll likely get more support from the open source community than any company can provide on its own. Google will only collect data needed for advertising revenue. Nothing on your services or customers. They actually recommend that you find your own analytics solution. Consumers may install third party apps from the Google Play store which may collect data. But Google can’t control that. The open platform of Android TV is a double-edged sword. In the Ovum survey “is Android the future of the set-top box”, allowing consumers to add apps from Google’s Play store is the #1 driver for all operators. But the same operators are also concerned about their exposure to piracy and cyberthreats. Will subscribers install apps that increase the attack surface of the STB? Will the box be used for illegal streaming? Actually, openness does not necessarily mean insecure. Google has taken some key steps towards securing Android TV. But you need to do more to protect the whole platform, typically by working with the right security partner. You need to evaluate the threat models and implement the security measures to close the gaps. If you want to learn more, check out our ebook, “5 facts to help you decide if Android TV is for you”. This entry was posted in Media & Entertainment and tagged analytics, Android, Android TV, AOSP, control, cyberthreats, Google, Irdeto, middleware, piracy, Set Top Box, STB. Bookmark the permalink.